Found 12 file extension associations related to Photoline and 11 file formats developed specifically for use with Photoline. 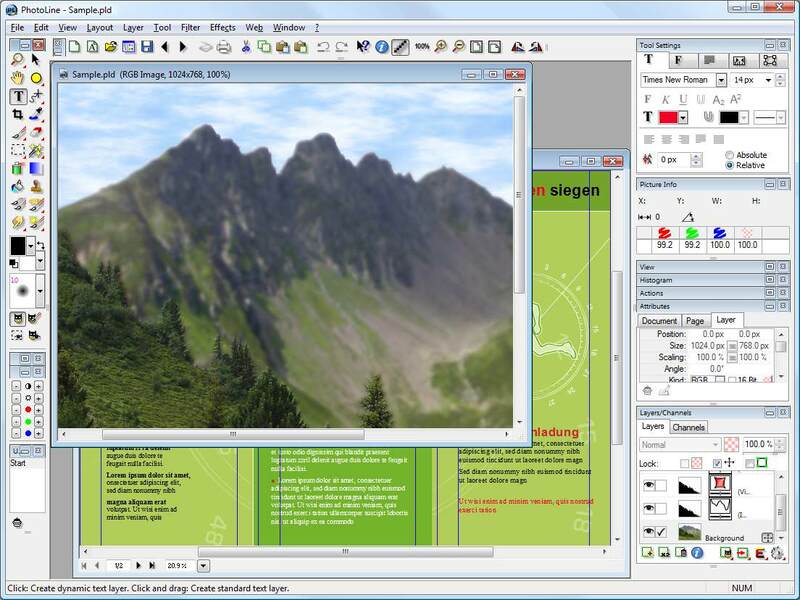 An imaging software, image browser, layout program, vector editor, batchconverter and web editor with many functions. The imaging functions offers all tools you need: Painting, cloning, filtering, blending and flood fill, special effects like squirl, shadow, glowing, distorb, morphing, 3d projection. Working layers, clipping layers, dynamic layer effects. Support of CMYK images, 16 bit per color channel, ICC profiles, EXIF digital camera data. Multiple undo/redo levels, plugin filters and much more. If you need more information please contact the developers of Photoline (Impressum), or check out their product website.